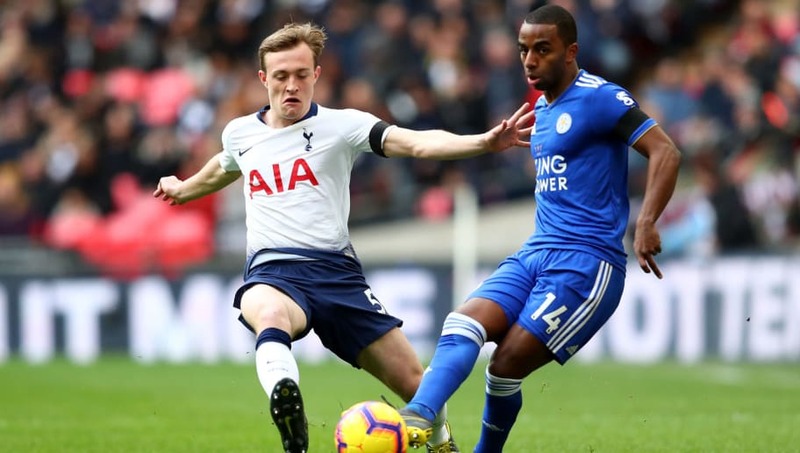 Social media was ablaze on Sunday following Leicester City's 3-1 loss at Wembley on Sunday, as summer-signing Ricardo Pereira suffered another unfortunate mistake leading to a goal for the opposition. Pereira, 25, joined the Foxes from Porto last summer, and was at fault for Spurs' second goal, a week after his error also cost his side against Manchester United. Having collected the ball on the outside of the area, Pereira then attempted to play the ball out from the back only for possession to land at the feet of Fernando Llorente, who set up ​Christian Eriksen to dispatch the ball past ​Kasper Schmichel for ​Tottenham's second of the game. The costly mistake couldn't have come at a worse time for his side, who had just seen ​Jamie Vardy miss a penalty. The two incidents happening so close to one another handed all the game's momentum back to Spurs. It's not hard to see why Foxes fans are irritated with the Portuguese international, after supporters have watched their team put in three relatively strong performances against the likes of ​Liverpool, Manchester United and Tottenham but tempers are beginning to flare as Leicester have only managed to secure one point in their last five Premier League matches, partly down to the individual mistakes of Ricardo.